The North Carolina NAACP, the Forward Together Moral Movement and Latino rights organizations in North Carolina will stand together Friday afternoon to challenge Gov. Pat McCrory for pandering to racial fears in statements about Central American children fleeing violence at home and coming to the United States. 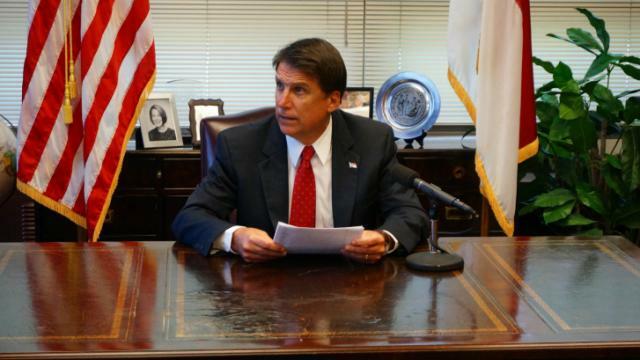 McCrory claimed his recent remarks are motivated by his concern for the children’s welfare. But he cleverly manipulates false stereotypes about immigrants of color invading “our” country and state, to steal “our” resources and participate in criminal acts like drug trafficking and prostitution. Latino advocacy and immigrants’ rights groups, including El Pueblo, El Centro Hispano, and others, will join Rev. Dr. William J. Barber II, President of the NC NAACP, at a Friday news conference at 1:00 p.m. in Raleigh to hold Gov. 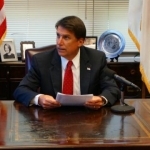 McCrory accountable for his political grandstanding. Advocates say the situation that should be addressed with compassion, love, and a thoughtful commitment of resources and energy. The Forward Together Moral Movement also calls upon the NC state legislative leadership to state publicly whether they agree with the governor’s stance. “These children have fled from trauma in search of the better life that America promises, and they should be welcomed in North Carolina, not turned into the targets of a manhunt to deport them,” said Rev. Barber. Friday’s press conference will be held at Pullen Memorial Baptist Church in Raleigh. A live stream of the event can be viewed here. Previous PostHuge hidden change to education funding to cause big problems for local school districtsNext Post Plans afoot to impeach Attorney General Roy Cooper?